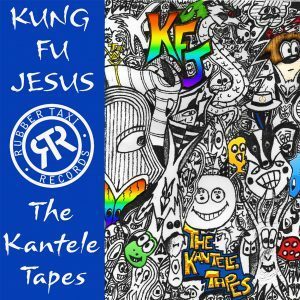 Kung Fu Jesus – The Kantele Tapes – Album Review | The Ark of Music – The best music in the world…you never knew existed. Though his ID may say that he’s from Lanark, Scotland; his current location has been described as, “In the depths of the internal trip.” While that may sound ominous, I think you’ll better appreciate its meaning once you listen to his music (below). Singer, songwriter, multi-instrumentalist, Kung Fu Jesus (KFJ), a.k.a., Craig Snape; a.k.a., The Dark Beach Boy; makes a brand of music which many have worked hard in an attempt to describe with some modicum of accuracy. We will work no less hard. 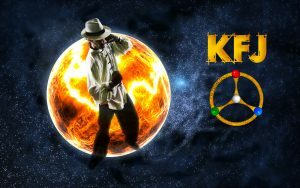 Fusing classic rock, world, and electronic influences into an end-product he describes as, “songs for the revolution”, KFJ has created a vibration which is wildly, startlingly, unique to himself. Following up 2014’s Wolf (single), and 2015’s Celestial Gold (album), with his latest full-length album, The Kantele Tapes, Snape shows early on that he’s gaining not only skill, but cosmic insight as well. Promised Land sounds like The Cars and Talking Heads made a record with Moby behind the board. Like it’s predecessors, the track is catchy and cathartic. Let The Sun Shine mixes island & club vibes into an ode to a self-contained, self-generated kind of freedom that can only come from within. “Let the sun shine…this love is so blind…”, indeed. Feeling like the score to some epic, post-apocalyptic journey tale, the celestially inspired, Story Of Four, captivates with primordially-inspiring vocal chant/hook, and a musical backdrop that provides your imagination with infinite space to run wild. A standout track on an excellent album…that is no small feat. Capping off the project with the anime-inspired, Super Saiyan, the track opens with lo-fi percussion and mystical chanting, followed quickly by a driving, focused rhythm. Lyrically, KFJ offers a winding, abstract tale of superhuman power which is just a story…right? Catchy. Conscious. Cathartic. An ultra-rare album with zero throwaway tracks. 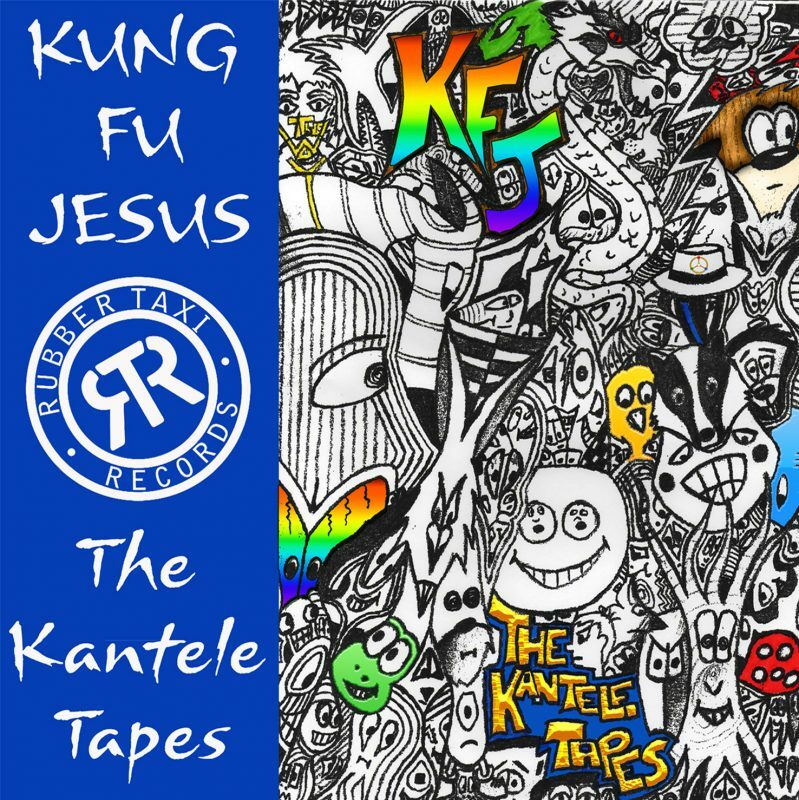 With its sonic palate of atmospheric sounds, infectious rhythms, and inspired, imaginative writing, Kung Fu Jesus’ latest album, The Kantele Tapes, is one of my favorite albums of 2017—any genre—no question. Each song features a highly entertaining combination of ambient textures and lyrical wisdom that create a fully satiating listening experience for the seeker, the dancer, and everyone in-between. Make the world a better place…listen to Kung Fu Jesus. BELOW, you can listen to Kung Fu Jesus’ album, The Kantele Tapes, and connect with his website and social media platforms. Please support Kung Fu Jesus by visiting him online, and playing, downloading, and/or purchasing his music. And, as always, thank you for supporting real music!